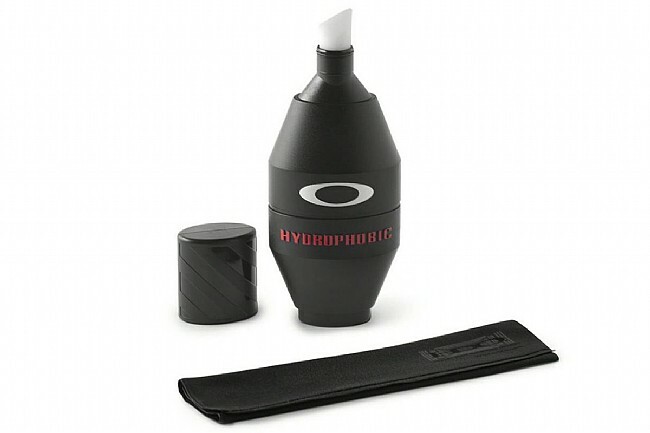 Oakley's Nanoclear Hydrophic Lens Cleaner Kit is an all-in-one lens cleaner and protector for Oakley's high performance eyewear. Simply use the pen applicator to cover the surface of a clean lens, wait 30 seconds before buffing out the excess with the included Microclair™ cloth (stored in the second cap at the bottom of the applicator), and now the lens is protected with an oil-, lotion-, and water-resistant barrier for clarity that lasts. Includes enough solution for about 50 applications. Not compatible with Oakley Snow Goggles or Anti Fog treated lenses.